Welcome to the website for the 18th– and 19th-Century British Women Writers Association (BWWA). The BWWA and its conference (the BWWC) provide a forum to discuss women’s writing—writing which has been historically overlooked, ignored, or excluded from the canon. Next Conference: The 27th Annual BWWC, “Movement,” will be hosted by Auburn University, April 25-27, 2019. See the conference website and Call for Papers for more details. Abstracts due January 5, 2019 [extended deadline]. 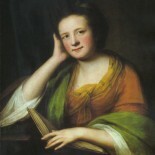 The Conference on Eighteenth- and Nineteenth-Century British Women Writers originated in 1991 when a group of graduate students from the Universities of Oregon and Washington noted and were troubled by the lack of presentations on women writers during a regional British Studies conference. In between sessions, we discussed the possibility of organizing a conference focused solely on women’s writing—particularly those writers who have been historically overlooked, ignored, or excluded from the canon. By encouraging important archival work on lesser-known women writers and by inviting divergent critical approaches to a broad variety of texts, we hoped to expand the range of critical approaches for both scholars and students, researchers and teachers. Our desire to revise the conventional canon was matched by our desire to reconstruct the conventional conference format. We sought to break down traditional hierarchies by allowing more space for graduate student voices, an initiative that is closely connected to the critical and pedagogical work of creating space for historical women to speak.